The Prescott Porch Rocking Chair features a versatile pairing of straight lines and subtle angles inspired by modern farmhouse designs. The Prescott Porch Rocking Chair features a versatile pairing of straight lines and subtle angles inspired by modern farmhouse designs. 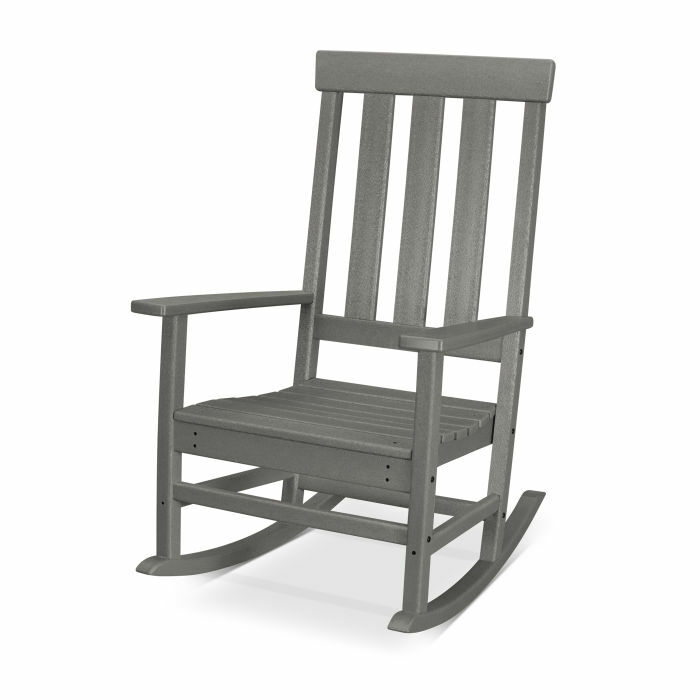 A stylish yet timeless addition to front porches and back patios, this rocker also features a contoured seat for a comfortable rocking experience. Pair with any of our all-weather side tables to coordinate the perfect look for your outdoor space.